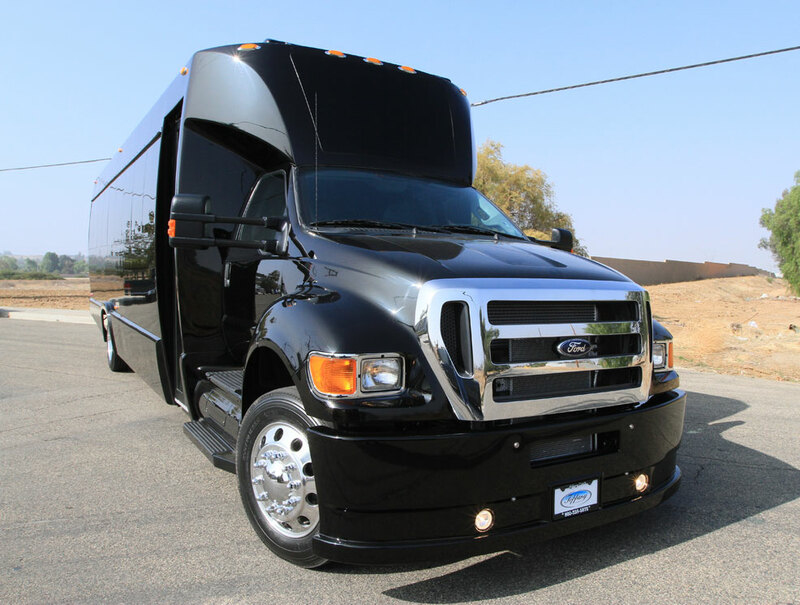 JMI Limousine’s Ground Force party bus was custom made for partying and letting loose on those special occasions where you just want to have a good time! 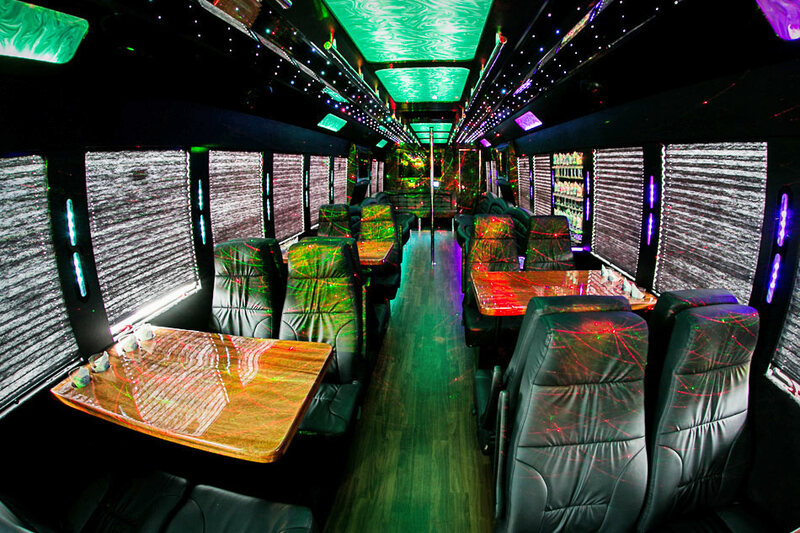 This one-of-a-kind party bus comfortably seats up to 42 of your friends! It features some of the most luxurious amenities available including ostrich textured leather seats, privacy curtains, a stripper pole, interactive touchscreens, 5 HDTVs, premium Rockford Fosgate surround sound, a bathroom and even laser lights! You’ll have full entertainment control while you enjoy a drink from the fully stocked backlit bar. 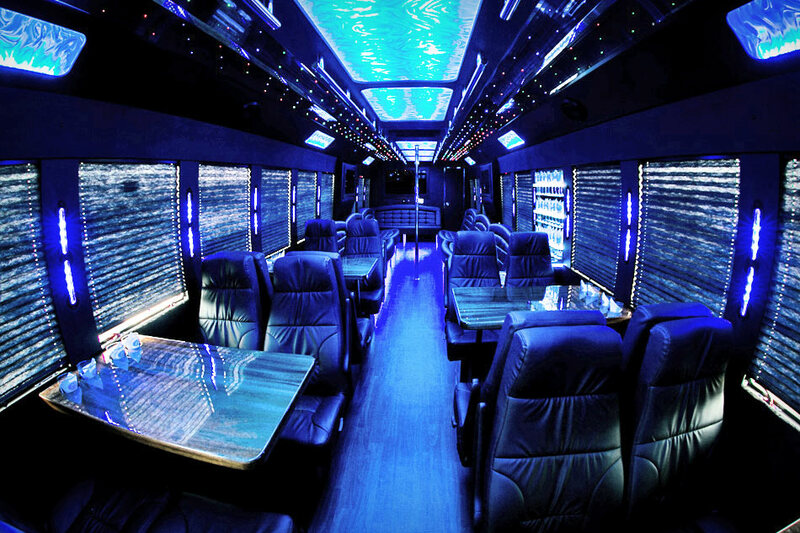 This party bus is perfect for any occasion that deserves a real party! If you’re hosting a party, Ground Force is the perfect choice. 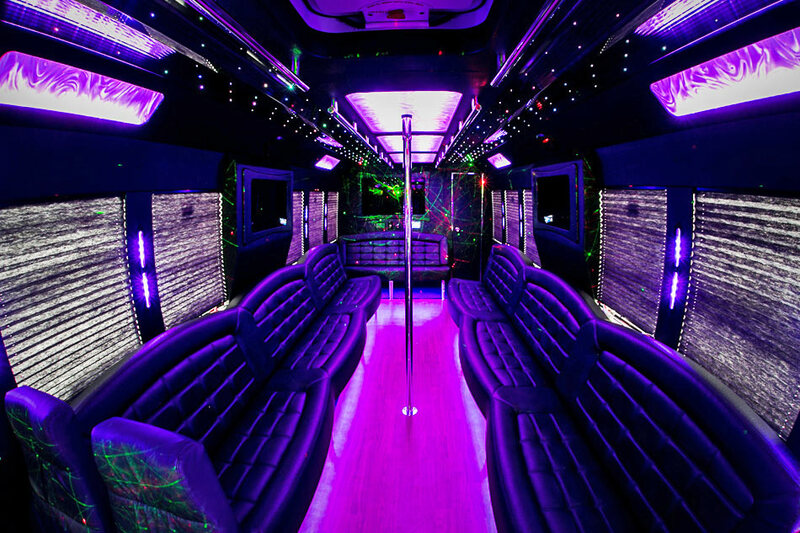 When you ride in our Ground Force party bus, you and your friends will feel like you’re in your own personal night club!